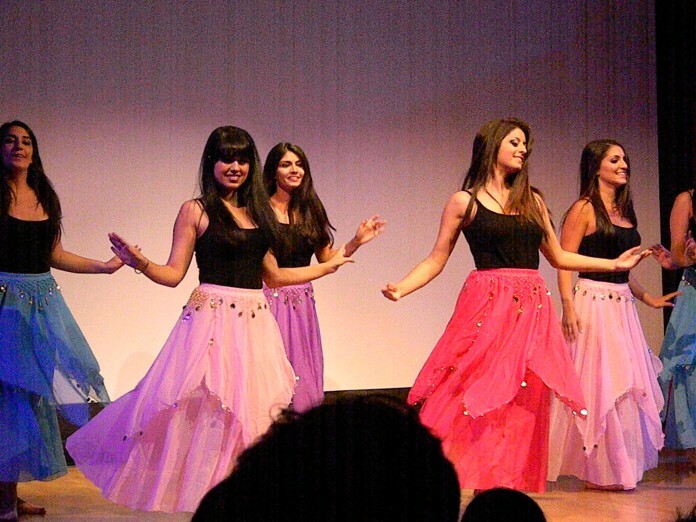 Filling the Multicultural Center theater to capacity, the University of California, Santa Barbara’s Persian Student Group and Project Nur worked together to put on the 35th annual Persian Culture Show on May 19. The show featured a wide variety of acts of dancing, singing, music, and poetry recitation. Beginning with a skit which briefly covered some of the important thinkers, writers, and poets from throughout the history of Iran, the show offered students, faculty, and members of the community a chance to learn about different elements of Persian culture. Following the skit was a dance to “Gol Pari Joon,” which chronicled the story of courting suitors. Later in the night, the show featured several other dances, including a belly dance routine by some of the members of Persian Student Group and a lively mashup of various modern Persian dances. Shadeh Rassoulkhani, a first-year psychology major who performed in the belly dance routine, said the group practiced routines for several weeks before the show, putting in work on both choreography and learning their routines. Several students also performed live music for the audience, many of whom seem to recognize the pieces. Marjan Riazi performed a solo piano piece, Seth Noorzad performed a solo violin piece, and Mazy Karandish performed a variety of both old and new Persian instrumental pieces on the sitar and the oud, accompanied on the drums. Performers also showcased Persian poetry throughout the night. Students read from the works of Forough Farrokhzad, one of Iran’s most influential poets of the 20th century, as well as a piece from the famed 13th century poet Rumi. The speakers read the poems both in Farsi and English, and provided a brief background about each of the famed poets’ lives. The Persian Student Group also read another Rumi poem called “All Through Eternity” at the closing of the show as a message of solidarity toward one of their co-presidents who recently experienced a family tragedy. Following the show, attendees gathered in the MCC lounge to enjoy a sampling of traditional Persian food.